Looking for an old-fashioned way to show off your southern charm? Are you a civil war reenactor who despises those atrocious uniforms but still cares about authenticity? Simply looking for a way to flaunt your suave side? Wearing this Men's Rhett Butler Costume is likely your best bet because Rhett had the charm of James Bond with the gallantry to make rivals jealous and suitors swoon. If there's a more idyllic southern gentleman out there, we sure can't think of him—especially one willing to reference Shakespeare, classical history, and German philosophy in his pursuit of Scarlett. Here's an idea: commit to memory Shakespeare's Sonnet 18, 116, and 130; then recite them as soon as you can. No one can resist "Shall I compare thee to a summer's day?" That's just science. Will you woo your own Scarlett O'Hara by the end of the night? 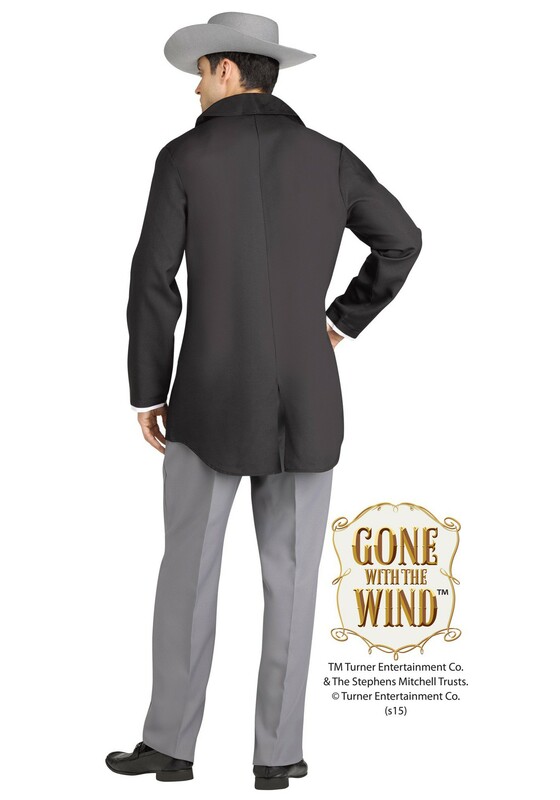 Or will you decide to continue the journey solo like the character in Gone With The Wind? The choice is yours to make! Unless, of course, you go as a couple with our Gone With The Wind Scarlett O'Hara Dress, in which case you should always make decisions together. This ain't the 1860's anymore, you know? 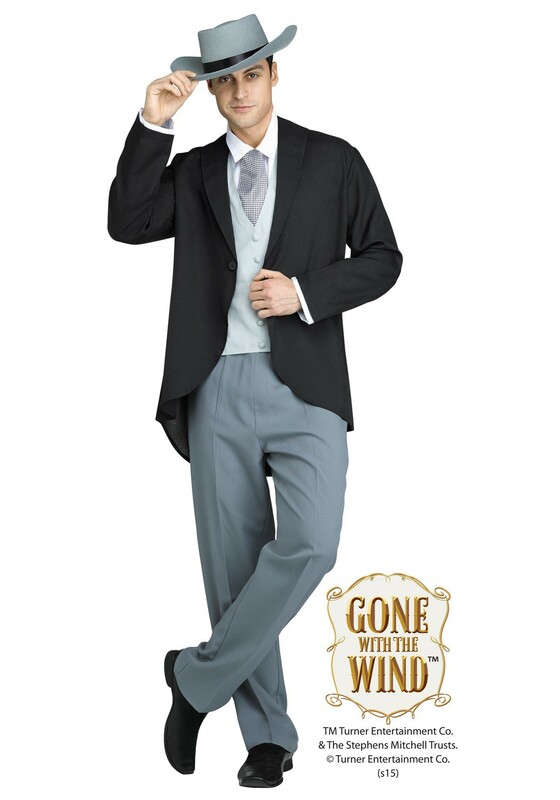 Don this black cutaway tailcoat jacket, gray felt hat, and vest at your next costume party to get in character and prove to all the belles that chivalry ain't dead!